Today we would like to announce the winner of Challenge #26- Easter! The winner of the Top Chef prize was chosen by Random Organizer. 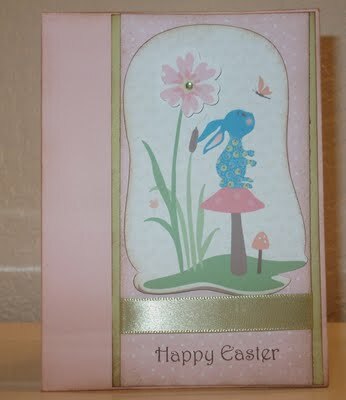 Jovan created this adorable Easter card using her Imagine and the Nursery Rhyme Cricut cartridge. You can "pick up" your top chef button on the left column and proudly display it on your blog. 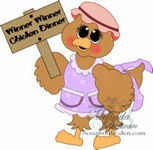 As the winner Jovan will receive her choice of digi stamp or cutting file from Papercraftingworld.com. 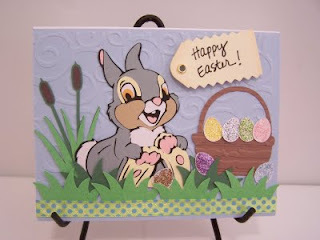 Jovan, please contact Madison at FunkyCards @Charter .net (no spaces) within two weeks to claim your prize. The Top Three Chefs were chosen by the Cooking With Cricut Design Team. You can "pick up" your top chef button on the left column and proudly display it on your blog. 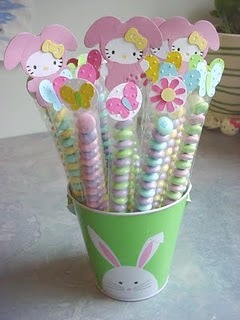 Thanks to all the talented crafters who took time from their busy schedules this week to enter this week's challenge. 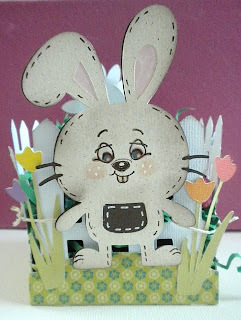 Spring is in the air and this week at Cooking With Cricut we are challenging you to design and create a project with spring flowers. Please include something cut from one of your cutting machines such as the Cricut:) Make sure it is a new project that has not been used before. Once again you have until next Tuesday at midnight to post your projects. One winner chosen at random will receive his or her choice of digi stamp or cutting file from Papercraftingworld.com. Congrats to the winners....great projects! Yay!! I was picked as one of the Top Chefs!! This is so fun!! Look forward to more challenges!! :) Also congrats to the other winners!! Wonderful projects! I signed up for your newsletter but I havent received one, just wondered when they got sent out?